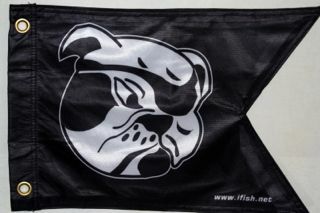 The Salty Dog Flags are almost gone! Wow. August. Can you imagine? Like everyone I talk to, no one feels they have had summer, yet, and certainly not Spring. Spring just didn't happen! We had three seasons... Summer, Fall, Winter, Summer, Fall, Winter.. :) And summer, which is supposed to be our longest season, has been our shortest. One darn week! Oh well. I'm beginning to get a little excited about Fall. How can you NOT get excited, when you think of all that Fall has in store for us? I sure can feel it in the air! The sky is just a bit lighter than the deep blue of Spring and Summer. The air is lighter, too. Let's see what these upcoming days, where we have 90 degree temps, will feel like to us! Will the evenings cool off, like Fall days do? I have had a couple of really full days. I'm pretty tired, and ready to rest. Grant McOmie came to spend the day filming, on Monday. He brought his film guy and his wife. What lovely people! I'd love to hang out with all of them, more. We really had fun! I had been so nervous, that I hadn't slept most of the night, the night prior. But, silly me! It wasn't scary at all! I guess it was just the unknown that scared me. I had done a segment with Grant, before. I should have known! I think we should all get to know the letters WCS. They stand for "Woulda, coulda, shoulda". I would have, I could have, I should have known! Grant is EASY! He almost says the words for you! That's the sign of an excellent interviewer. However, there were a couple things that stumped me. Questions he asked, that I had no idea how to answer. Yikes. Those scare me so much! Like, he asked how I dealt with being a female in a mostly male world. Easy button! Is that supposed to be a problem? It never has for me!? I don't know why, so I asked Bill why he thought I was OK in this world of men. He thought it was because I don't compete with them. I listen and learn. I respect guys and guides. I think he's probably right. It's like being around heroes to me. I love to listen and learn. Likewise, on the board, I read and learn. It's the same way with the few women guides I know. I listen and learn from folks like Julie the guide, and believe it or not, Angie the guide! I don't try to be what they are. I like to fish, and to learn more. I think most women that just fish are like that. I have never dreamed I'd be a guide. I just want to fish! Yesterday, Bill and I loaded up the duck boat, and went down the Kilchis. Oh, it was lovely! The summer water was clear enough to still see all the way down to the bottom of the deepest holes. There was ten feet or more of water, over beautiful rock structures! Down at the bottom, we spotted cutthroat trout! I love that! I just LOVE that! I sure wish that the log jam weren't there. I so miss going all the way down Squeedunk Slough. We were blessed with some cutthroat action, and just had a really good time. It was rather busy, trying to deal with Willie's curiosity over the whole thing, but regardless, it was so relaxing. So enjoyable. Bill kept repeating, "Oh, I love this. I just love this." Ditto! .The sun was out, a slight breeze was blowing. It was summer, and the sun beat down to warm my bare shoulders. However... there were leaves on the water. Another reminder that Fall is coming at us, fast! When we used to fish for cutts more often, the leaves would be the beginning of the end. When the leaves began to fall on the water, we'd know our time was short. Yesterday, in the canoe in the backyard, I got really brave, and went down to the big hole. Usually when I do this, I'm prepared. I wear shorts and sandals, so that I can wade if I get into trouble. This time, I was fully dressed. It was so exciting! The river has changed so much that I had no idea if I'd make it thru the riffles! The riffles this year are fast and low! The water took me, whether I wanted to complete the run, or not! I yelled out loud, as the suction just took me for a ride! Whooooo hoooo! I was going pretty darn fast! If I hit a rock, I was going over! "I made it!" I yelled to Willie. I didn't even attempt to make it back, though. I simply put the canoe on the dry rocks and slipped the rope around my waist, and walked back upstream. Amazing how light a canoe is, when it's skating over the rocks. I didn't even feel the extra weight. Life is so good on the Kilchis river. The Kilchis will forever be my home. Even if I don't get to be there, all the time! The heat is supposed to be intolerable. It would be so nice to stay here at the coast, where it's a bearable 85 or so. Still warm for the coast, but it cools off so nicely at sundown. I love working, and being able to get up at any moment and go check the berries, or putter in the gardens. Speaking of berries, not a good year at all! My raspberries must have some kind of virus or something. You go to pick them and they are small and seedy and go mush in your hand. The leaves are a bit curly and dry. The second picking is a little better, but very sparse. No "Berry fairy" this year! My blueberries that I was waiting for were robbed! Straight out stolen by the birds! Darn! I was being so patient and then they were gone! Darn robins! We usually carefully put a net over the best of the crop, but this year, well? We just didn't. It really does take two, to take good care of this place on the Kilchis. I see the effects of my not always being here, all around. I make fun of Bill for not having the vision to see the spider webs and dust, collecting everywhere. Yet, he can easily see that the lawn needs mowing. It's selective vision! And, the last thing I want to do when I come home is to start cleaning! But, I do... at least the minimum! You know, clear the way so I can get into the shower! So off I go. I have a bit of work to do, then I have to be to Oregon City for my dog class, tomorrow. It's cloudy this morning. Willie and I just got back from a nice walk around the neighborhood. It's nice to get to know the neighboring gardens, and watch the progress everyone is making. He slept the whole way home, and then, when we got home? He ran, wagging his tail and barking. Not a hint of being tired. Oh, well. It was a nice day. Today, I am refinancing my home loan to try to get the better rates that are out there. Having a home loan is pretty serious stuff, isn't it? It's scary! Sometimes I wonder if I should have just rented a home. It seems like there are 'fix and repairs' to do daily. It's fun to know the home is mine all mine, but you know? It really isn't! Half belongs to the bank! :) But, unlike a landlord, you can't call them to fix things! Someday, when it's all paid off, I'll be glad. However, I really don't think I'll live 30 more years. How do they think that works, anyhow? I mean, come on... I'm 52, and have marfans. Like I'll be around in 30 years!?! I can't wait till Buoy 10 gets really started. Bill and I want to fish it this year, and I'm so excited about it. It really looks exciting this year. Will you be going? Nothing more fun than that whole scene. I'll get to see folks I haven't seen in a long time, too! Fun! I'm going to the Tillamook County Fair this week, and then next week, the Canby fair. It certainly is August, isn't it? You can feel Fall all around us. My plants are not growing as fast as they were. I planted peas kind of late, and I doubt I'll even get any. They are really spindly and weak little things. They look like they have marfans, actually! Tall, thin, and spindly! Well, it's off to the store and then to the bank to talk loans. Wish me luck! I still have excellent credit, even after 500 dollar electric bills! Yikes! Oh, found out why that was! We have a whole house fan, and in the attic, there is a cover to put over that big hole in the ceiling, so that the hot air doesn't escape. DUH! No one told us!! As if I'd know! It does seem silly to have that big hole there in the winter! I'm so stupid! You MUST read Carmen's article. I got this via e mail the other day, and was SO excited to read! Wow! Liz Hamilton sent the original letter to me, and wow, has she ever been working on things! I admire her, so much! Came home, went straight to our blueberry bush, and before the robins could get back to work, gathered handfuls of the best blueberries on earth, and dropped them into my bucket. YUM! They landed in the bottom of the bucket with the most satisfying sound! Muffled berries on berries. Oh, that's a good sound!!! They are the best, and I mean the BEST blueberries I have ever eaten! The stores simply hold no match to these blue beauties! Blueties?! I was so excited that there were some left for us! The bushes out in the garden were robbed clean, but these, on the side of the house, well? I guess the birds don't know about these! Ha! MINE! Huge clusters rolled without effort into my hand. One fell swoop filled my fist! I keep thinking of Marie at Tillamook Bait, and wondering how her blueberries are doing. I remember stopping at her place for bait, and the first thing I'd do is check out her blueberries. Marie? How are yours doing? Are you having blueberry pancakes, this morning?! We are! I listened to an interesting news report that blueberries wouldn't be good this year. Ha! Mine are! In fact, the only berry crop that is great, this year! The raspberries this year were a big disappointment. Now, they are almost gone. I sure hope we get a bumper crop, this year. Our blackberries are beginning to ripen. It's sad... sad that summer is almost over, but every season holds its own excitement. Blackberries make me happy! I play a game at night, when the blackberries are ripe. After fly fishing, I can't go back to the house, until I'm satisfied with the biggest, sweetest blackberry! I pick, until I find that one that wins me a trip back into the house. You know, it's not any different for me, now that the law for retaining cutthroat trout out of the Kilchis has changed. The only thing that is different for me, since I don't retain cutthroats as a practice, is that should I ever accidentally mortally hook a fish, I can choose to keep it, instead of let it bleed out in the river. So far, I've not had that problem, but should I, I can thank God for the gift of this fish's soul, and eat it for dinner. I still wouldn't feel great about it, but it's better than having it die pointlessly. Fall is well on it's way. Like a big old truck, heading down the Kilchis river road, driving towards us without a single skip in its engine. Fall is well on the way, full speed ahead! You can feel it in the evening air. You can see it in the light blue sky. My dog brings it in, in his fur at night! I pluck out crispy leaves and small sticks that have fallen from the trees, and now embedded in that long, soft hair of his. It is what it is. We have no choice. I feel like I'm still lusting for Spring, and now it's almost Fall. I am. I'm still lusting for Spring! And I can do that, I suppose. It's just going to be a long, long, winter! In between, I'm going to enjoy every footstep thru the seasons. I have no right to complain at all. I'm still alive after so many health challenges, that I really don't feel I have a right to complain! Sometimes I actually forget I ever had cancer. That's alright by me! But, I should remember, so that I'm more thankful, each day of my life, each season that we pass. Today, Bill and I will fish for cutthroats, somewhere, and look forward to Buoy 10, and then Fall fishing on the bay. Life is good. The berries are ripe, and I have a huge sack of apples to peel and cut for apple pies through the winter months. Thanksgiving is on its way! With bounties of berries, crates full of crookneck squash, and tons of tomatoes! I'm truly thankful for all of the food that will carry me thru, till Spring comes again! I was absolutely horrified the other night, after I cut... yes, I cut my dog's ear with a pair of scissors. Oh, my gosh! Talk about horrified! I was simply cutting a burr out of my dog's hair... a hair mass, actually. I was trying to help him. As I cut, he whined a bit. Just a tiny bit, and I thought he was just being fussy, so I told him, "no!" Oh, my! The scissors seemed to not be cutting hair, either. There was a meaty feel to it. Hm. I moved on with my dinner duties. Later, I took a peak and I literally could not breathe after what I saw. Horrified. Yes, I was! "Bill! Bill! Bill!" I couldn't get it out. It was almost like the time my husband almost hit a car next to us, and I couldn't get the words out. That's how I act when I panic. I can't speak! Finally, "Bill! I cut Willie! Come! Come here and look!" His ear was totally split, into the size of about a quarter or more. It was one of those hanging folds in the back of his ear. No blood, whatsoever. Just raw meat. --Just a big old raw spot, hanging wide open. How could that not smart, terribly? Why was he fine? Bill said, "Oh, you did a very neat job on that, Jen!" "It's not funny! It's terrible!" I snapped back. "I'm calling the vet! He needs stitches, Bill!" I shook, as I dialed the number. The vet called me back and told me, of all things, to simply super glue it shut! WHA? So, I held Willie very still as Bill performed the operation. It worked like a dream! It simply was fixed! Willie is no worse for the wear, so far. We are watching for infection, though. Bill and I are a great medical team! Next up? Anyone need an appendectomy? I think I can! I have trimmed the backs of my spaniels long ears for as long as I've had them (my whole life!) Never have I done this to one of them! Oh, Willie! I'm so sorry! Sometimes the river is so beautiful at this time of year, that it makes tears come to my eyes. The river is almost perfectly still. There is an odd, mysterious beauty to the pinch period in late summer. Yesterday, I stood at the river's edge in the bright sunlight. The rocks are bleached a shocking white. So white that you can barely adjust your eyes. The pure, clean water moved slowly over the clay colored dirt at my feet. Staring at the water is softer on my eyes. The sunlight twinkled on the surface. As I glanced across the water, it became deeper until I couldn't see the river bottom. All across the river, large rocks jutted out. The kind cutthroat trout hide underneath. I balanced my fly rod on my hand, but I hadn't had the urge to cast it, until now. A large maple tree draped over the top of the water, leaving me about three feet, no more, to land my fly in. That. That is where the trout are! My fly landed perfectly, and that was my satisfaction. It was midday, and my towering shadow probably spooked anything that lay there. My line had perfectly looped behind me, and the fly soared thru the sky, and without so much as a drop of a splash, it landed. Ah! Perfection! Had there been a trout, had he wanted my offering, had the world treated me to a different end of the story, I would have played a fish. I didn't. Instead, the perfection of a perfect cast filled my soul. I stood there, with tears falling down my cheek. Silly me. All for the beauty of a river. I love the Kilchis river. I surely do! The Canby fair tonight! Yay! Have I ever had an adventurous week! I absolutely can't believe the money I've gone through, lately. It seems like every day I have to cough up a couple hundred. I just don't make that kind of money! Ouch! I am going down, fast! Night before last, I was lying next to Willie, and I smelled something awful. Took him to the vet, yesterday and they immediately took him to surgery. His ear did not come out well. It was rotting! He lost some flesh, and they trimmed it up and sewed it together. Now, he's recovering on a round of antibiotics. Poor, poor, Willie! I feel so awful! This is all my fault! Bill went fishing yesterday on the Columbia. I would have liked to have gone along, so badly! But, Willie and surgery are first, of course. Bill did really well, considering. I guess it was a very slow day, but they got two chinook and one jack. They fished along Young's Bay. I guess not so many people were over that way. They put in at the East Mooring basin, like we always do. I guess they have a really nice, new fish cleaning station there. I miss fishing that fishery. That's my old stomping grounds, you know. I would adore packing up my sand spike and going out to spend the day in the sand, on the bay. Thing is, they aren't doing so well for silvers, but the chinook are biting! We just never got deep enough, fishing off the shore, to reach the chinook as well. Pretty much have to have a boat for that. I fished off the jetty and on the sand, back in the day. I was out there, absolutely every chance I got. My husband would come home from work, and I'd exchange cars, and head out, as he headed in. Sometimes I only had a lunch hour to go fish, and by golly, I'd race out there and back, hauling fish behind me to clean, while he went back to work. I was a crazed fisherwoman! I love looking back on those memories. I was the "go to" girl for reports. My phone, even back then, was always ringing. Of course, no one had cell phones, then. Just land lines! Oh, the days... 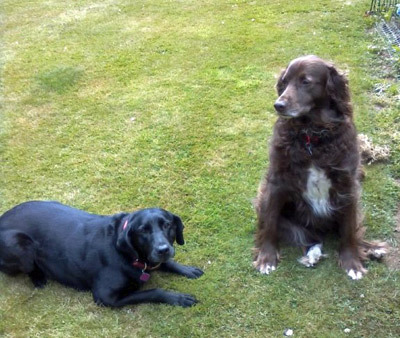 I do miss them! Seems this year, I'm neither boat nor bank savvy. What is happening to me? This must change, and change now! It's so muggy out, here at the coast. There really is quite a difference in climate from the coast to the valley! Every time I go one way or another, my body goes out of sync! The last wave of heat at the valley was almost unbearable. I guess for everyone, though! But, after being at the cool and cloudy coast, it was really unbearable! Willy is just in love with the coast. He used to sleep the whole way in the car, but the last couple of trips he is up and down, checking our progress. I think that if he could talk, he'd be doing the "Are we there, yet?" thing that kids do. I can almost hear him! He is a very good rider, however, and I enjoy having him in the car with me, to keep me company. I can't believe my good fortune in finding a trainer that I adore. I wish I could afford her all the time. She is a dog-God, I believe! I have to be careful, I know, putting people up on a pedestal, but man! The minute we walk into the room, Willie's trainer, Cynthia, (The Pet Geek) has Willie's full attention before she even tries to capture him. He just follows her with a look of "gaga", and his eyes await her every command. Why in the world won't he do that for me? I'm working on it! I'm learning! Her approach is so different than I have ever learned, before. She is having me read a book entitled, "The Other end of the leash". I suppose it's supposed to mean, "The other side of the story". I am so used to "Caeser's Way", or the dominance approach, but this is... well, the other end of the leash! I haven't gotten into the meat of the book, but this method seems so kind and fun for both of us! And Cynthia certainly is kind to animals! She had Willie under total control at first sight! Today is the Steelheader's picnic here at the river, today, so Bill and I are hurrying around, cleaning and setting up tables. It's going to be fun! We'll probably have about 25 people here, this afternoon. I'll probably have to leash Willie. We'll see! He's so excitable, still!I had a really difficult day, the other day. I woke up. The sun was shining. Life was good. I was heading out to take Willie for a walk, and I bumped into a nice PGE man. We both spooked each other. He told me that they were getting a "hot meter" alert from my "smart meter". Heard about those? They are new meters that are internet connected, and speak both to your appliances, and to the head office. Sounds spooky, huh? So, in all good faith, he couldn't walk away from my home, knowing that it was a fire danger, until "I" got it fixed! He put a jumper on it, so that I had at least 110 power, (but no 220) and left. He took my meter with him, so that I had to get it fixed. I called my preferred electrician, and then realized I have First American Home insurance. So, I called them. They said, "Yes, it was a covered expense", and they were sending out their electrician to fix it. The electrician they sent out had a bad reputation on Angie's list. Well, they couldn't come till Tuesday. It was a fire hazard, and they can't come till Tuesday? It is 100 degrees out, and I have no electricity!? So, my insurance called until they found someone that could do it, today. RWE came out, (they had a better reputation on Angie's list, too!) and ordered the parts, and fixed it, (this, about 5 PM) and called PGE to shut down my main power on the street, and wait till it was fixed, to turn it back on. I had 5 large PGE trucks in front of my house! Yikes! In the meantime, I found out that PGE had installed THREE (count em!) smart meters into my home, since March 2010. In March 2010, the house was not occupied, I'm pretty certain. All three "smart meters" had given out "hot" alarms, and they had come out to change each one, without notifying anyone. Somehow, though, this fourth one is my fault?! I'm a little weirded out by this. I also found out that these smart meters are starting fires in homes, by doing the very same thing, this one did. I don't know if it's due to installing smart meters into older equipment, or what? But, I found these interesting links about them. This is exactly what happened to mine. This is a spoof on smart meters that make me wonder. There are a bunch more links if you google smart meters. People aren't liking them at all. It's kind of a 1984 "big brother" thing. I mean, why, when the meter was giving out hot signals, did PGE not tell me and instead, replace it three times.... but then not the fourth time? Why were my meter clips OK until they installed one of these new meters? Why did the insurance company say they'd pay for it, and then not? Do they do that, sometimes? If I hadn't had to go with an insurance recommended contractor, I would have hired my people to do the job. Doesn't seem right, does it? I don't know. I'm new at this whole home ownership thing, but I think I'm going to find out. I would venture to guess that this last year has been the toughest year of all for me. I don't think it's been about breast cancer, but maybe. I just don't know. I know that it has been tough trying to regain the momentum and the energy it takes to do much. All I know is that it is difficult for me to achieve what I want to. I feel, sometimes, like I'm torn into too many directions. I have yet to learn to say no. But, the thing is, I want to say yes. I want to do everything. But, when I try to do everything, I forget to go to my dentist appointment, or I'm late on something important, and nothing gets done well. I set myself up for failure, perhaps, knowing that I want everything done well. Maybe I can still do everything, if I set my expectation for how well I do those things, lower!? I don't think so. The only answer is to learn to say no to some things, no matter how badly I want to do them. Life happens. Things like what happened last week with the electrical stuff certainly happens! Boy, oh boy, did that set me back! Both financially and in time spent. I have never struggled so much financially in my life! It seems like every day costs a couple hundred dollars and I just don't make a couple hundred a day! Yesterday at dinner time, Bill and I were both mentally and physically spent. A good dinner of crab louis certainly helped. Pete got them out in the bay, and left us with crab for dinner. Thank you, Pete! This morning, I got up and headed out to the salt air. I needed to clear my head, and I knew it. I went to Garibaldi and walked on the bay beach. It was so lovely, and watching Willie enjoy his freedom made me laugh. He is certainly hilarious. He runs thru the sand, and then out to the bay. When he gets to the water, he lays down and dunks his head under! It did me so good to be out there, with the wind in my hair, and God so close, all around me. Why is it, that when we are outside amongst all of that beauty, it seems God is walking right next to us? I don't know, but it sure helped my attitude. I breathed in that salt air as deeply as my lungs would inhale and it just seemed to refresh my whole spirit. I'm better, now. I still have a million things to accomplish, but I'm better now. Bill asked me to fish this week at B-10. Frustrated, I handed him my iphone calendar, and said. "Sure. You pick a day that we can go." He looked, he studied... He held the iphone this way, and that... and looked some more. Finally, he sighed deeply and shrugged. He's going with his friend Mike on Thursday, instead. Someday.... Someday I will get finished with things I have to do, and will get to fish, again. I will! I will! And when I do, I'm going to set my expectations really high. The Oregon City electrical inspector was just here. They are big, right? The people who know the most? First off, he said Right Way Electrical is a really great company. I thought so, too. He said there is no doubt in his mind that since one of the legs was at 40 percent, that my electricity bill was high, due to the burned out clips. He said the arcing uses electricity and the power company can't tell if the arcing is using electricity, or the furnace. Regardless, I pay for it. The meter was installed first, in Feb 2010. The day it happened, I called PGE and got the record for the meters. It was replaced several times. Once, it was even melted! Oh, my! He also said that (In his opinion) PGE should have told us about the replaced meters, before now. The only reason I know about the replaced meters, is because I asked. In fact, one of the meters they replaced was totally melted. Scary! He said this could have caused a house fire. He said, "You don't even want to go there!" I always thought it odd that our heating bill was nearly double what it was for the people who used to live here. Odd, and really unfortunate! I couldn't afford it, as it was nearly the same as my mortgage payment! Yikes. I'm going to talk with a customer support person today, to see what can be done, at this point. I'm really disappointed. Do some research on smart meters. They are kinda scary. Lots of house fires. Do me a favor. Go out to your smart meter, and if you feel heat coming from it, get it checked out. It should have no heat. I'm not going to just let this go, as I can't afford to just let it go. So, looks like I have a project on my hands. Willie and I graduated! Whoo hoo! He is now a canine good citizen! I am the owner of a canine good citizen! Of course, it's just the beginning level, but we are going on! How could we not? Our trainer is awesome, and I really enjoy the process! It's as if by magic, but certainly due to Cynthia, The Pet Geek, that Willie is a new dog! In the last week, he's just become the most awesome partner! He's so thoughtful and calm, lately! Cynthia thinks it is because we have taken the uncertainty and worked on his impulses. Showing him that first impulse doesn't win! I love this process. Willie is awesome, now! Cynthia Kurtz has studied with that famous guy, Ian Dunbar, and in fact, are friends, I guess. A little name dropping is impressive, but what really impresses me is the devotion she attains from pets. They are enamored and respectful of her, almost immediately. When Willie sees her, he goes gaga! It's like, "What can I do for you, now, Miss Cynthia!? 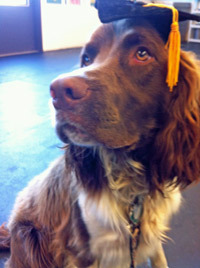 Anyhow, I'm signing Willie up for the second class and I can't wait! Poor or not, I'm going for it! Buoy 10... I missed it. Or, I almost missed it. I'm not sure I care, though. You know, I love to fish. I do! But, I'm not so crazy about crazy fishing. I like to get out where it's quiet, and I love to be in the open air. I think I'd love the ocean... I am just not crazy about chaos. If we had a boat in a slip, perhaps that would be another thing. Since we got rid of the red sled, my confidence in backing is not as good. I'm still OK at it, but as a partnership, Bill and I together have lost the easy in and out that we had with a smaller sled. It's just more complicated with the bigger boat. We are still good partners, and we are getting better at the bigger boat, all the time, but I just miss how darn easy it was. Plus, the ramps are getting more and more crazy all the time. Do I miss waiting in a line of boats, and then the stress of trying to put in perfectly and swiftly? Nope. I don't! So, the fact is, even though we mostly missed Spring, and Summer went by like a breeze, I'm actually looking forward to Fall and Winter. I close my eyes and dream about a couple days on the bay for Fall Salmon, but mostly? I have my heart set on the quiet, winter days of steelheading! I can even hear the sounds of the waves splashing on the sides of the driftboat... I can feel the calm, cold, foggy mornings of winter, where your fingers freeze, and you have 19 layers of clothes on! Yes! And I can sit in the boat, watching the tip of my rod, ever so closely, and dream about the warmth of Spring! ...and Spring Chinook! It's a forever life of dreaming about what's coming around next on the wheel of fishing, isn't it? I love the anticipation of the next season of fish to come! I can hear it, just like you hear that game show coming on every evening... "The Wheel... O F FISH ING!" I just found out that one of my best friends is dying of cancer. My first thought, was how much I'd miss her. I can't believe how tough life is. You know, it's tough to die, tougher yet to know that a bus will hit you, but even tougher to know the license plate of the bus that will hit you. You know? She knows what will take her. I always thought marfans would take me, but I lived thru the dissection that takes most marfan people. I'll probably get hit by a bus. I just don't know. The thing is, I wrote back to her, my most honest feelings about it. I told her how sad I was. I said, "I'm sorry to let you know this, but I'm feeling really sorry for myself, right now. How selfish of me. I'm so sorry. Let me digest this and cry some tears, and I'll be back to support you soon. You've just been the only one that "gets it" with me, for so long, and I don't know what I'll do without you. So, how do we get by without those that make up our support and friends circle? It's tough. I guess I'll live thru it. And she won't. I've heard it said that it's harder for those we leave behind, but is it? Or, is it harder to explore and figure out how we feel about knowing we are to die? I really don't know, as I'm sure you don't, either. We live this life of mystery, never knowing when or why. All I know is that we'll get to be with our Heavenly Father and there is no sadness, there. I don't know what I'd do if I were one of those who didn't believe that. How confusing that would be to me! I don't know. I'm just deflated, right now. It's so sunny and beautiful out, and then... this. I'm off to the city, now. Sorry about sharing the sadness, but it's just part of life. Isn't it?